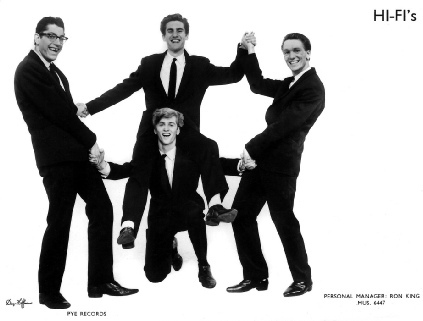 The Hi-Fi’s have not had contact with Garry Peterson since they parted company back in late 1963 when he decided not to wait for the group to complete the package tour with Duane Eddy. Garry got paid for the tour gigs, but as he was surplus to numbers needed to back Duane he did not perform. After the tour finished he never contacted the group. We would really like to make contact again with him and if any persons looking on this website can assist with this, then please use the contact us section on the website. 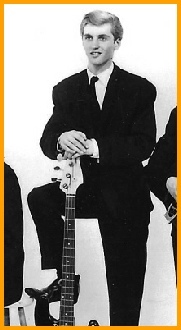 Garry joined the group aged 17/18, answering an advert placed in the Melody Maker. According to press cuttings he left school aged 15, had played guitar since 11 years old and also played piano, but then changed to the bass. Other details given do not appear to be correct, just Garry being his mysterious self, as he never revealed anything about his personal side, perhaps this was not even his real name. He lived in North London, maybe Islington; usually he got picked up at a tube station along the Holloway Road, or other places en-route to gigs. There are no records of exactly where he lived or what job he did or any place he worked.